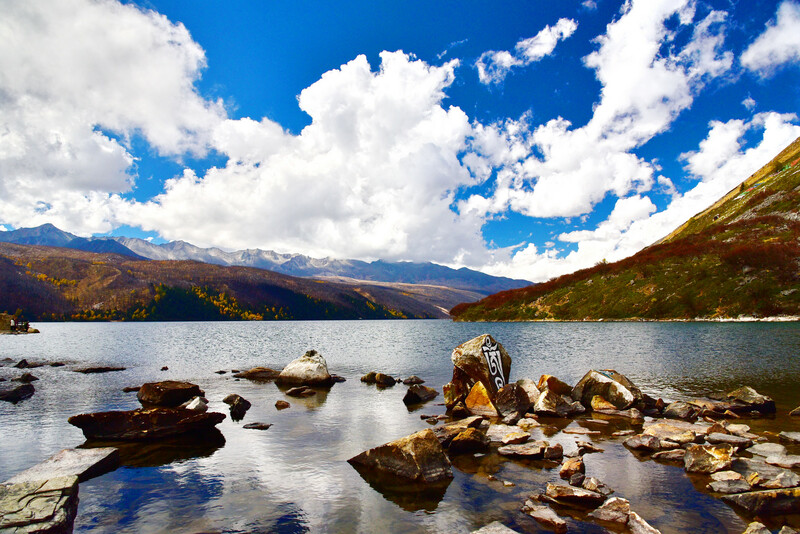 Made up of not less than 18 beautiful counties, Garze Prefecture is located in the Sichuan Province of China. 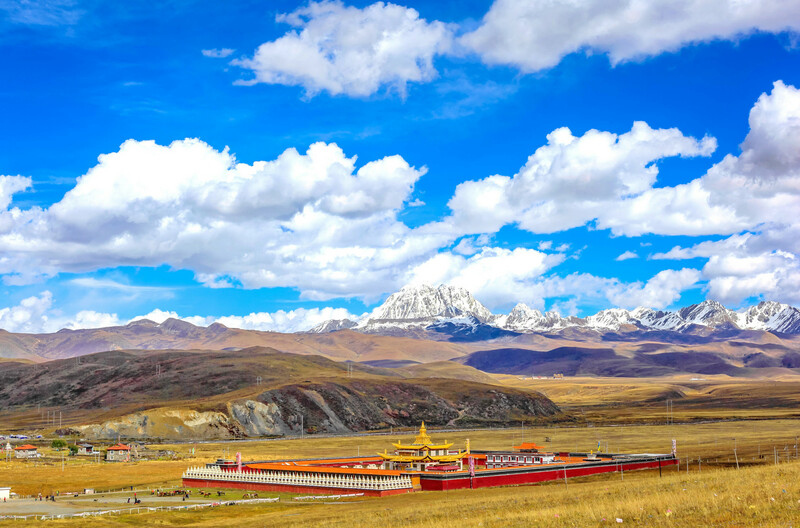 Words are insufficient to describe the pristine beauty of this region situated on the Tibetan Plateau. 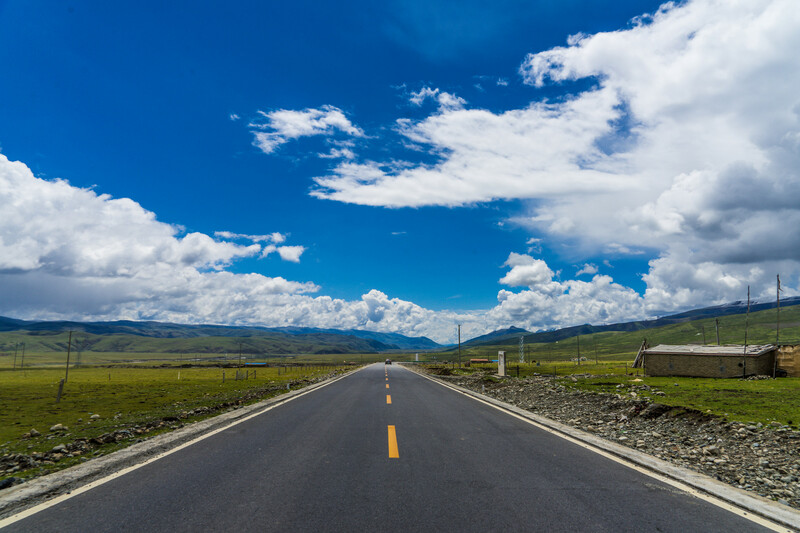 Also known as Ganzi (ancient name), Garze’s capital city is Kangding, a much-visited tourist destination. 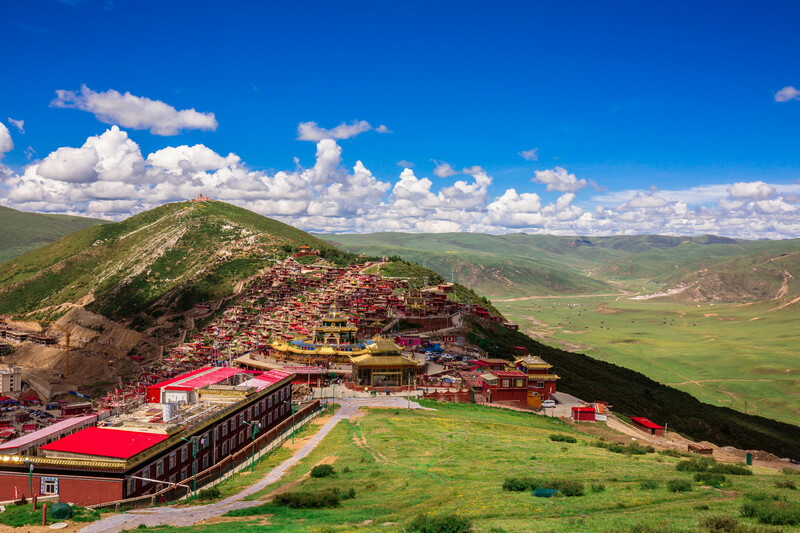 Garze Prefecture is the best place to see the Buddhist Tibetan culture, customs, traditions, religious practices, monasteries, etc. The trans-Himalayan landscape of glacial or snow-capped mountains adds to the mystic beauty of Garze. 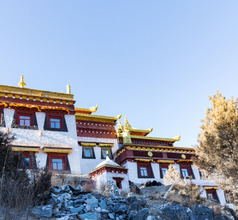 The pinnacle of the Buddhist culture in Garze is the Seda Monastery. It is situated at an altitude of 4,000 meters above sea level. 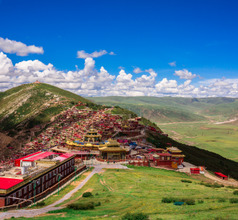 It is surrounded by the most picturesque landscape in the world consisting of snow-capped peaks, dense forests, clear blue skies, pollution-free air, and an aura of calm. 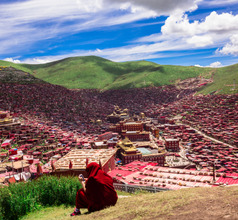 The monastery houses the Larung Gar Buddhist Institute, which is the biggest Tibetan Buddhist seminary in the world. For visitors seeking adventure, Garze Prefecture also offers these modern pursuits. The Tagong Grassland is the ideal place to visit in the Kangding County of Garze Prefecture. It is a vast and colorful grassland where one of the most exciting tourist activities is horse riding. In fact, that is the best mode of transport to explore the grassland at leisure. Another activity that has gained popularity is rafting on the Zhako River. 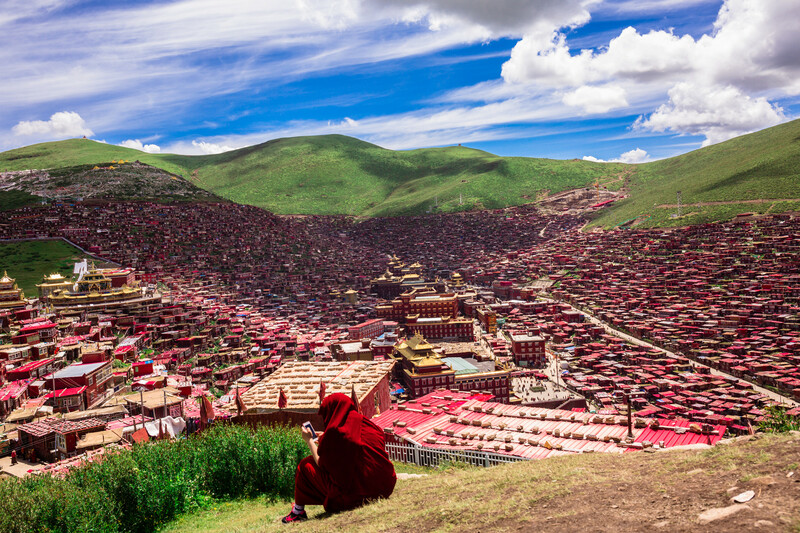 A visit to the Jiaju village is a great experience and gives a glimpse of the Tibetan way of life. 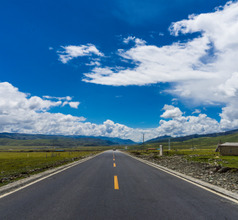 Besides Kangding, the capital of Graze Prefecture, the other well-developed cities are Ganzi, Luding, Yajiang, Litang, Luding, Luhuo, Danba, Daocheng, Tagong, Xinduqiao, etc. Some of the cities and towns are very modern urban areas and others are large towns with good infrastructure. Depending on the level of urbanization, they have several boutique hotels, budget hotels, service-apartments, guesthouses, inns, youth hostels, etc. The star hotels offer a variety of amenities like airport shuttle service, customized sightseeing tours, 24x7 in-room dining, spacious rooms, in-house multi-cuisine restaurants, concierge services, and rooms with irresistible views. 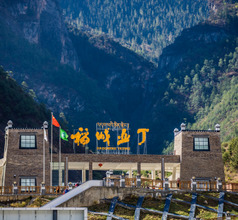 Located in the Luding County of Garze is one of the most popular tourist attractions, called the Hailuoguo Glacier Park. This geo-park has splendid landscapes consisting of ice caves, oceanic glaciers, primeval forests, lakes, springs, and a variety of fauna. The most spectacular sight is the glittering oceanic glacier that is 16 million years old and is spread over an area of 31 square kilometers. 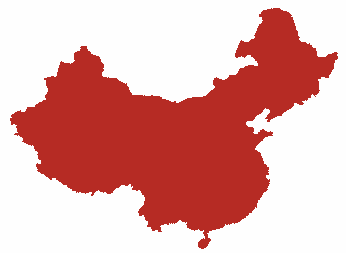 The Ganzi County has always been a popular economic and trading hub of the region and is the best place to shop for souvenirs and keepsakes. The Yalong Jiang River scenic area in the western regions of Garze is also a must-see. It has the most charming scenery that is a delight for naturalists, tourists, and photographers. 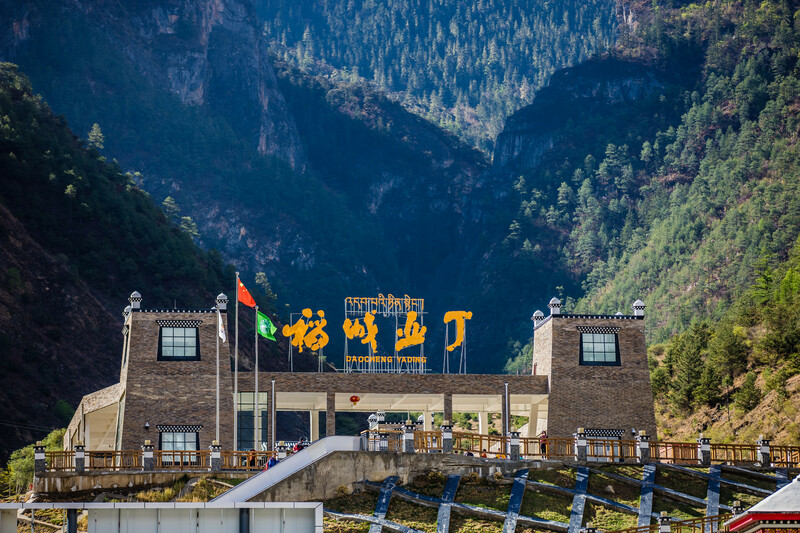 Located in the Kangding County is the Gongga Mountain at a height of 7,556 meters above sea level. 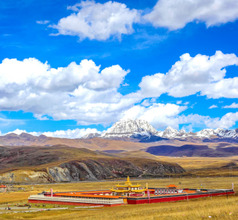 It is a snow-capped peak which is revered by the Tibetan Buddhists and mountaineers. 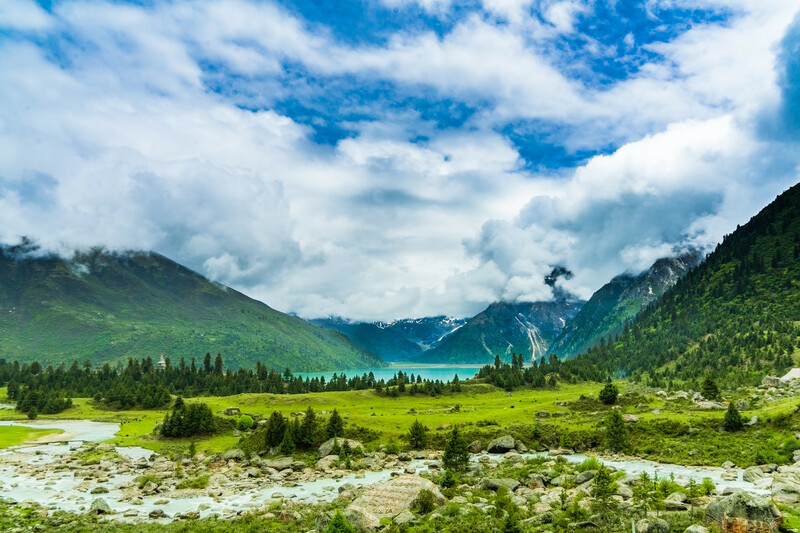 It consists of virgin forests, glaciers, alpine lakes, streams, waterfalls, and ethnic villages, which together, looks like a classic Chinese painting. 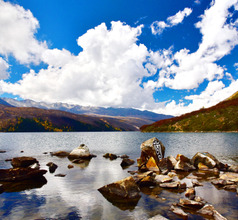 The Daocheng Nature Reserve is a tourist attraction that is full of ethnic villages surrounded by magnificent scenery. Located in the Yading County of Garze Prefecture, this scenic area has several snow-capped mountain peaks like the Chenrezig, Jambeyang, and Chanadorje which are considered holy by the Tibetans. 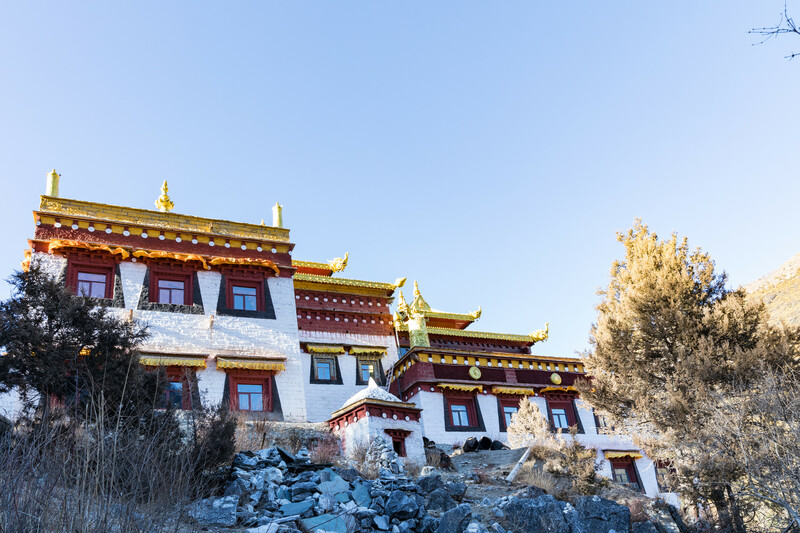 At the foothills of the Chenrezig Mountain is the Chonggu Monastery which is a convenient base camp for serious mountaineers. The most picturesque scenery is near the villages of Sangdui and Sela. 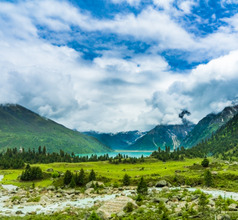 Other scenic spots include the Haizi Mountain, Kanggar Mountains National Park, Mugecuo Scenic Area, Luding Bridge, Erlang Mountain, Danba Tibetan Villages, Danba Meiren Valley, Paoma Mountain, Labahe Nature Reserve, Lianhua (Lotus) Lake, Trumpet Shell Valley. Unlike the large repertoire of the Sichuan cuisine in the rest of the province, the Garze (or Ganzi) Prefecture has just a few staple food specialties. The Ganzi cuisine is typical of the Tibetan style consists of wholesome meals rather than fancy ones. Some of the food specialties of Garze Prefecture are Kangding jelly bean, Maiqiu smoked beef, yak-meat steamed dumplings, Hua Momo (Tibetan moon-cake), Tibetan blood sausage, Zanba or Tsampa (roasted highland barley flour), etc. Their favorite beverages are yak-butter tea and liquor made from barley.